Welcome to OlympicVenture.com. View our products and services and contact us today. Outdoor Futsal Court for Canon Opto (M) Sdn. Bhd. Please note that We never sub-contract our projects to other people or other companies as we have our own team of skilled in-house installers and applicators. We are an established company specializing in building customized surfaces. II. 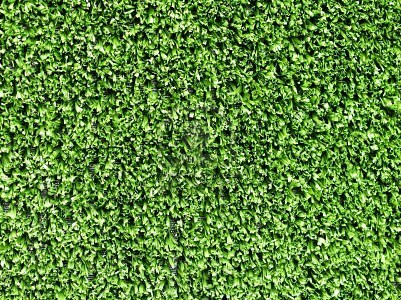 We also sell: Sports-Related Products like Synthetic Turf Putting Green Mats, International Badminton Federation (IBF) Badminton Mats, Synthetic Grass for Clubs & Home Gardens and Mats for Golf Driving Range. 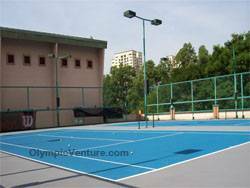 Olympic Venture has built 23 tennis courts for University Science Malaysia, a synthetic tennis grass court and 3 hard courts for Bukit Jambul Country Club, a multi-purpose court for Motorola and other clients like Hotel Equatorial, Royal Australian Air Force Club, schools, condominiums etc. We also do re-surfacing and repair cracks for tennis courts. Our new products include permanent acid stain and polymer stain as concrete coating which can double-up as classy marble-grain decoration. We provide products to both private and government sectors like fitness facilities, clubs, educational institutions, hotels, resorts, property (commercial and retail) developments and government institutions. Not only do we build new standard sports surfaces, we also re-condition and re-surface old and sub-standard ones using the latest sports surfacing technologies. We also represent the world's leading supplier of sports surfacing products. For information on our completed projects, click on the Reference Projects button above and for more data about our products and services, click on the Products button. 2 Star FIFA Soccer Field Pitch at Seymour Shaw Park, Sydney using Synthetic Turf. 4 Synthetic Turf Tennis Courts at Penang Sports Club. 4 Olymflex Seamless Rubberized Futsal Courts. 2 tones of synthetic turf for Shah Alam's Extreme Park Futsal Courts. Click here for more details. Mont Kiara Palma's 2 Rubberized Cushion tennis courts using Plexipave Coating System. Click here for more details. Click here to view Indoor Soccer Electronic Scoreboards. 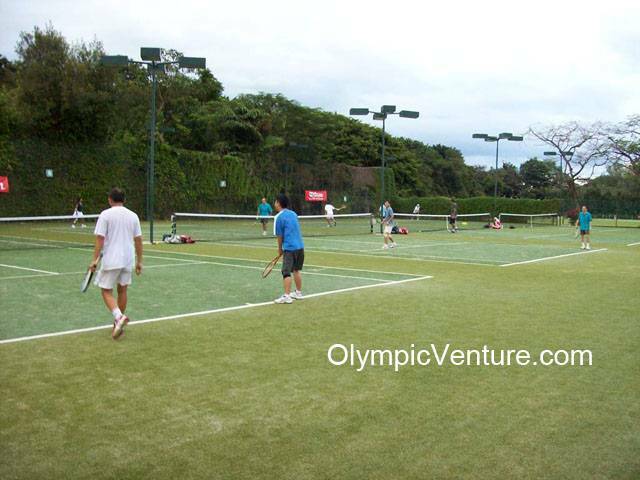 Click here to view our Tennis Courts using Fibre Mesh System that are Crack Resistant. Click here to view and download Olympic Venture's Free 2019 Calendar. Are you looking for "residential locksmith houston"? Check out locksmithhoustontx The passionate experts in this field are ready to answer all of your requests.